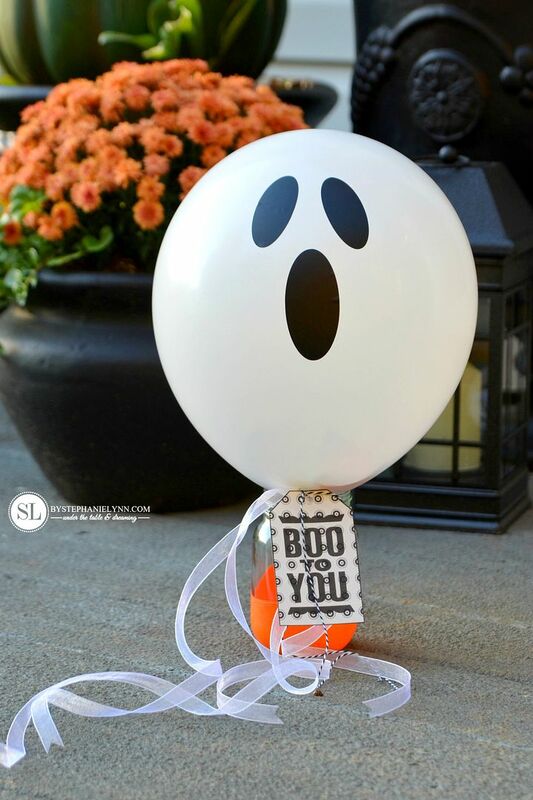 Halloween Ghost Balloons | filled with candy and treats – As we prepare our Halloween festivities for the week, one fun tradition on our list is delivering some festive treats to our surrounding neighbors. 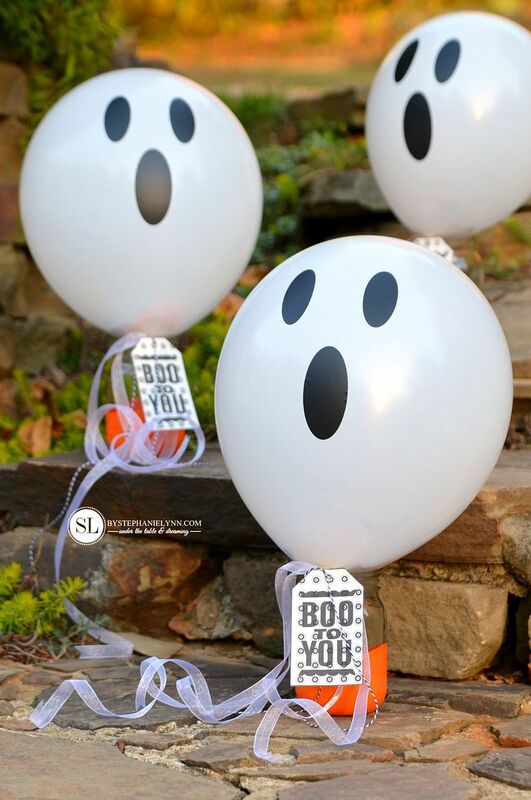 This year we put our own little spin on the Halloween Boo and put together a few Candy and Treat Filled Ghost Balloons to secretly place upon some doorsteps. 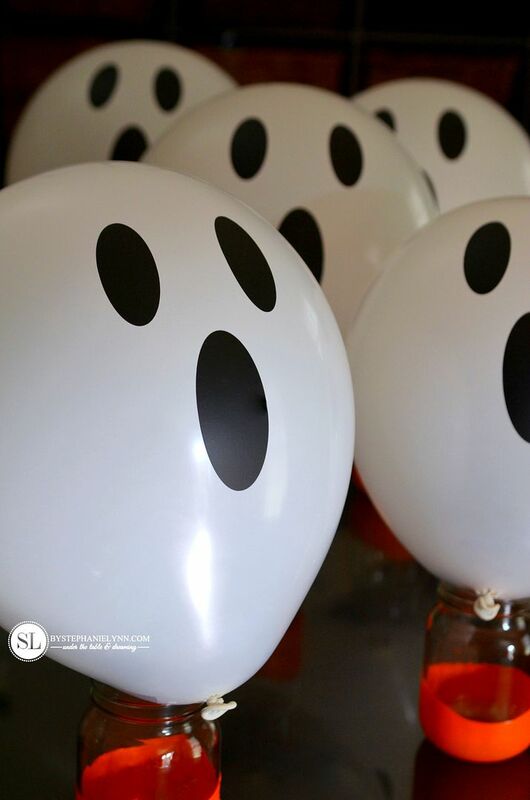 These Halloween Ghost Balloons are quick and easy to prepare and make a perfect last minute surprise for neighbors and friends. 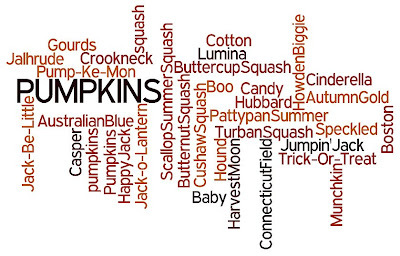 Plus everyone loves trying to figure out the mystifying idea of how all of those goodies got into the balloon! 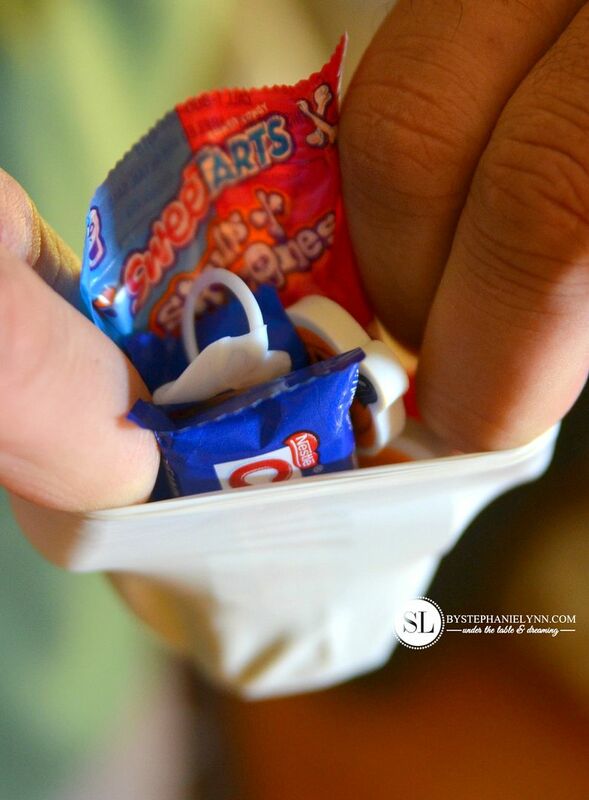 Fun size candy bars, small individually wrapped candy packs and mini trinkets work best when filling the balloons. 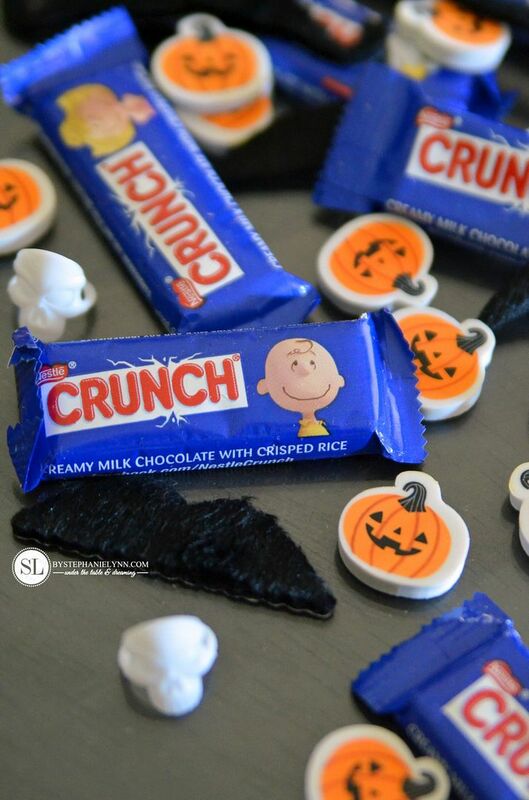 We stuffed our balloons with Nestlé Crunch Fun Size Bars, SweeTARTS Skulls & Bones packs, mini pumpkin erasers, skull rings and faux stick-on mustaches. It helps to have an extra set of hands when filling the balloons. One person to stretch and hold the balloon open and another person to fill. Butch gave us a hand with this part – while CJ and I tucked in the goodies! 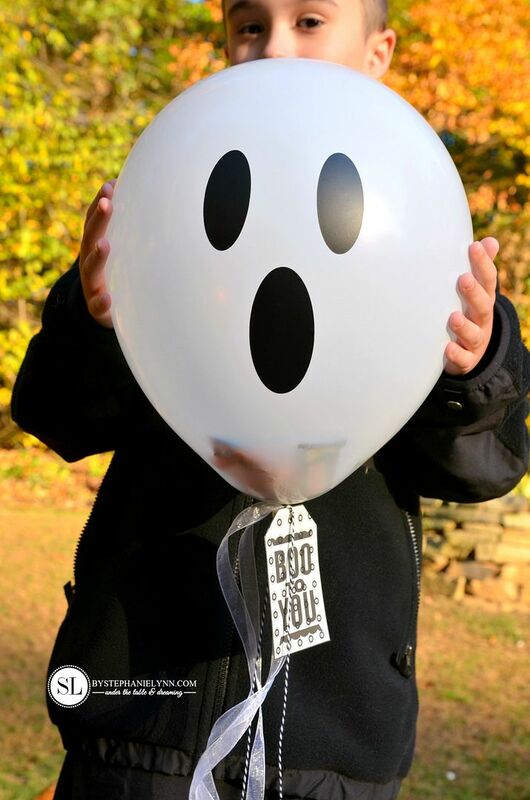 Regular, white, 12 inch latex balloons were used for our Halloween Ghost Balloons. 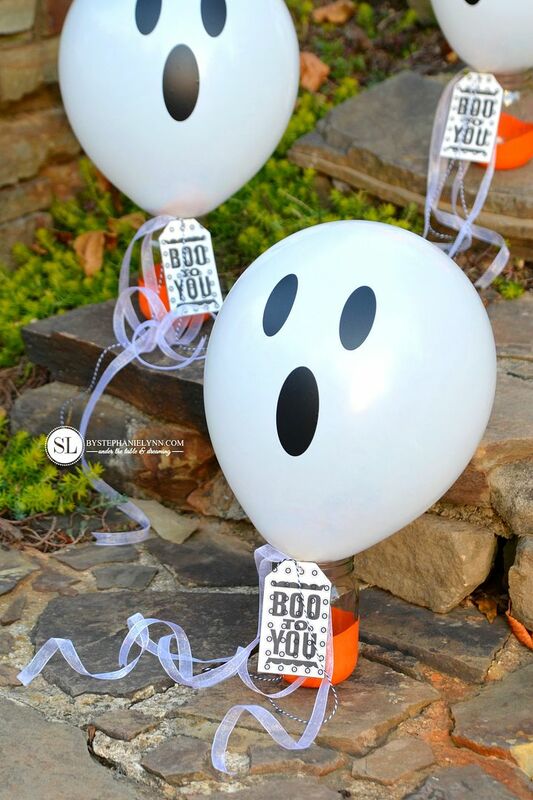 The latex balloons will stretch and hold a surprising amount of treats. The next step is blowing up the balloons. 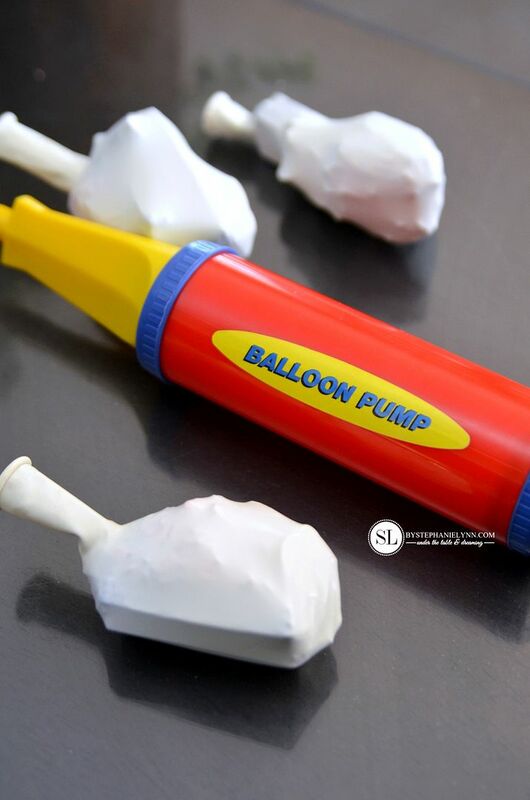 We like to use this inexpensive, hand held balloon pump when inflating a large number of balloons. Once the balloons were tied, we added some ghost eyes and mouths. 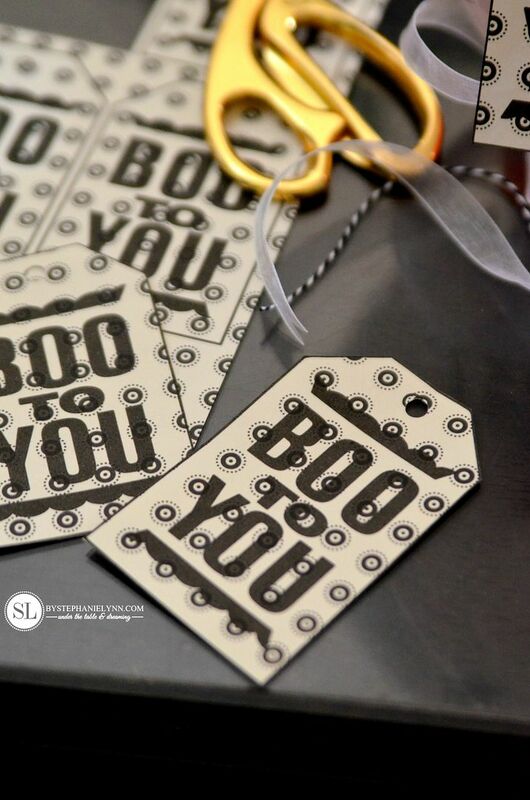 I cut these out using black vinyl – they can simply be hand drawn on the balloons as well. 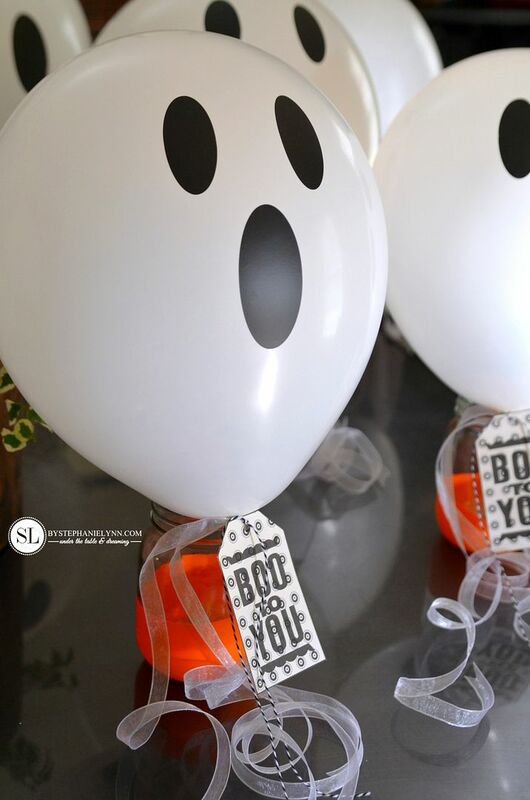 Ribbon, bakers twine and tags were then used to finish off our Halloween Ghost Balloons. I simply ran a piece of scrapbook paper through my printer for a little added design. If you don’t live in a traditional neighborhood, or get any trick or treaters, like us – this is a simple idea to keep the little ones involved in the Halloween fun and spread some festive cheer to your neighboring properties. CJ loved loading up our Halloween Boos and secretly placing them upon our neighbor’s doorsteps. Happy Halloween Boos to you! This post brought to you by Nestlé. The opinions and ideas read here are entirely my own. Teachers deserve Halloween treats too! p.s. Were you purposely named after stevie nicks ..?